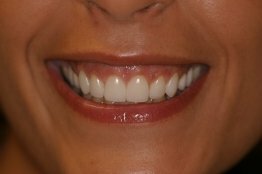 A chipped tooth can cause a very noticeable effect on smile aesthetics, even if the chip is very small. This common condition typically results from falls, accidents, traumatic facial impact, or using the teeth to open packages or bottles. Porcelain Veneers – One of the most popular treatments for teeth affected by chips and other types of damage, porcelain veneers are custom tooth restorations designed to fit comfortably over the visible portion of the tooth. With proper care, these effective solutions can last for many years. 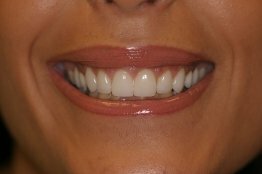 Composite Restorations – Composite restoration procedures such as cosmetic dental bonding can serve as an effective alternative to porcelain veneers for some patients. Dental bonding can restore a chipped tooth by adding a strong, tooth-colored resin to the affected area. The resin is then molded to appear the way the tooth looked before it was damaged, leading to a healthier and more natural appearance. Dental Crowns – Dental crowns may be necessary for a tooth with more severe structural or aesthetic damage. Designed to cover the entire tooth rather than just the most visible part of it, a dental crown is a customized restoration that can comprehensively enhance the tooth’s appearance while improving its strength and working to protect it from further harm. In addition to the cosmetic ramifications, a chipped tooth that goes untreated can also lead to functional concerns and serious oral health consequences. If you have chipped your tooth, it is important to see a dentist for evaluation immediately. Early treatment can significantly reduce the potential for additional damage to the tooth while restoring its appearance at the same time! 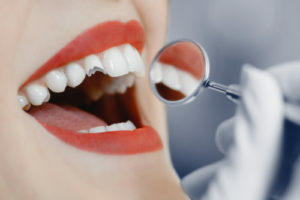 For more information, or to schedule an appointment, please contact Restorative and Implant Dentistry of Bayside today.